Here’s my elevator pitch, I also had a hard time keeping it around 30 seconds- had to re-edit several times. I enjoyed listening to your elevator pitch. I hadn’t seen these sites you mentioned before.. interesting! I found the venture a very interesting and applicable technology to my regional context. This looks really interesting! I’m looking forward to finding out more about it. Would the service be offered in Mexican and English? A very polished pitch and as a fellow Mod 11 team member it is nice to put a voice to your contributions. Cari… the service would initially be offered in Spanish, although a medium-long term learnng objective (especially in a border state like Baja) is for students to learn English as a Second Language. Probably integrating some tools in English would benefit this L.O. My business also focuses on ESL education. It was interesting looking at your approach to the same kind of venture. It also sparked my interest in teacherplanit.com. Great job! This is a great idea and am quite fond of your elevator pitch. Just letting you know that your Youtube video for the full pitch has been removed by Youtube for exceeding the 10 minute maximum. You may have to trim it a little bit and reupload it. Good luck, and I will check out the full pitch when available. I’ve re-edited the video to under 10 minutes… I’ve also updated the hyperlink in my post so you can access through here. I enjoyed your elevator pitch. I liked the way you illustrated your ideas with the diagrams, the apples and the photos. Your full version appeart to be thorough. According to the Cube you have defined the market focus more specifically to two grades and all the stakeholders in the students’ education. The actual buyer sounds like the union or interested schools. If it were to go global you showed how it has an advantage of functions over two other products. The market as you described it is ready, and you did note the risk that a small percentage might not have equal internet access to it. It would fit in well with the teaching learning improvement activities. My impression is that even if it does not return on the investment within your estimated period, I think the longer term benefits are huge, the connections and sharing of knowledge and parent involvement would be a catalyst for change. I’d invest. I agree that the market is ready and it would be a huge jump for teachers to be able to learn from others and share their own experiences as well. First, very cool to see someone pitching something from another country/school system. I like your idea on resources for teachers and parents/students – makes sense to centralize knowledge. By making these available online, you allow both of these stakeholder groups to access them outside of school – crucial since parents and teachers are very busy and this allows for accessibility. Thought you introduced your team well – solid credentials including those that will actually make it happen and put it on the internet. As someone else has noted (and you did deal with this), since this service is predicated on access to the internet, not all parents will have equal access. Do you know what the penetration % is for internet users in Baja? Might be interesting to know. By linking yourself to a “best practice” type body via the government I think you have given your company credibility for potential investors. The business model doesn’t offer as much information as it could. Investors would want to know the rate of return in 6-12 months and what percentage of the company that would be. Also, is there a cost for posting these resources? If it is free, how is the company “making money”? Maybe it is through advertizing or government funding. The last thing I wondered about was whether this company is a non-profit? I don’t think it is from what I saw but if teachers are donating/giving away their resources and the company is going to make money I don’t know whether most teachers would support this. Overall, I think it is a solid idea that offers a service that many parents/teachers would take advantage of. The presentation itself was clear and effectively communicated your ideas. Enjoyed your presentation. First of all, thank you for this well-constructed, engaging pitch! Through your voice and professional-quality video presentation, you give off a strong vibe of competence and professionalism. In response to Greg’s comment about profiting from teachers’ hard work for free, I would want to point out that teachers that share would also profit as they would be able to gain access to a lot of other resources. It may not be as hard a sell as Greg says, especially if there is nothing like this in Baja at the moment. To me, the quality and accessibility of the shared content is the biggest concern. I’ve been to sites like these and I am rarely impressed by the materials that I see there, or I am overwhelmed by the amount of materials there are, so much so that it is beyond my patience to sift through it all for a math worksheet that I could probably whip up in 1/2 hour. If you solve these problems, then teachers will come. Hi Ceci…nice, short, to the point video elevator pitch! Your pitch was intriguing particularly when you mentioned the idea of sharing information with other teachers, parents, administrators and students. It certainly left me wondering more about how it works and what the potentials are. 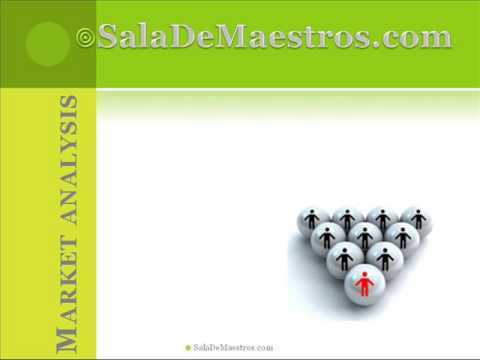 My only question is, you mentioned that SalaDeMaestros.com is a part of TeacherPlanIt.com. Is this other website a large or well-known one that most teachers in Baja California, Mexico or other local markets? Thank you for your comments Greg, Len and Ernest! In response to some of your questions, I agree with Len in regards to teachers sharing information. I think that a mechanism to ensure the quality and pertinence of the material uploaded would be to allow other users to “grade” the material- letting others know if it was useful and how so. Just like in Amazon or other online shopping resources. Len- SalaDeMaestros.com is an “extension”- it’s an online community based on TeacherPlanIt, but customized and modified to meet Baja’s needs and context. Thank you once more for taking the time to view my full pitch! I thought your pitch was very good. I would say the full pitch is a little repetitive in the audience you are targeting (Teachers, staff, students and parents. As others have commented the business case is not very clear. Since this is in a school environment it is not clear where the money is made. You mention that there will be ads, how is this accepted by the parents, teachers and government authorities? Even if this were feasible and accepted, it is hard to believe without more details that the investment would have a payback in 6 to 12 months. I think that the team that you present looks strong, the alliances with the union and the government make for a winning proposition. I think that the service you are offering although very constructive and efficient might not be adopted that quickly due to the low internet penetration. I would want to see an effort in training or marketing or change management to be willing to invest as a social project. Great visual presentation! Well done. A very polished venture pitch. I really like the combination of visuals, background music topped with your voice. Good job editing all three of these together. Your venture pitch is similar to my own. I really belive your venture can be successfull because many teachers are looking for a platform which with do this. I have to say this was one top 3 put together venture pitches that I have seen. I love your presentation. The audio and your voice are very engaging as well the visuals are perfect. You did a great job describing your marketing strategies, business model, and management team. Advertising is a great way to make profits, but I wonder what kind of ethical issues this poses. This product seems like it is offering LMS services. There are many competitors including one that was produced by a 522 student in this class. What sort of technical advantage does your system offer over other LMSs? One issue that you mentioned concerns me. You mention that many students do not have computers and/or internet access yet. I think that the release of this system must coincide with all students and teachers having access to internet and computers. Even if there is one student without a computer such a plan will not work. All students must be on equal footing. It is a good pitch and I would be curious to see the rough financial projections.